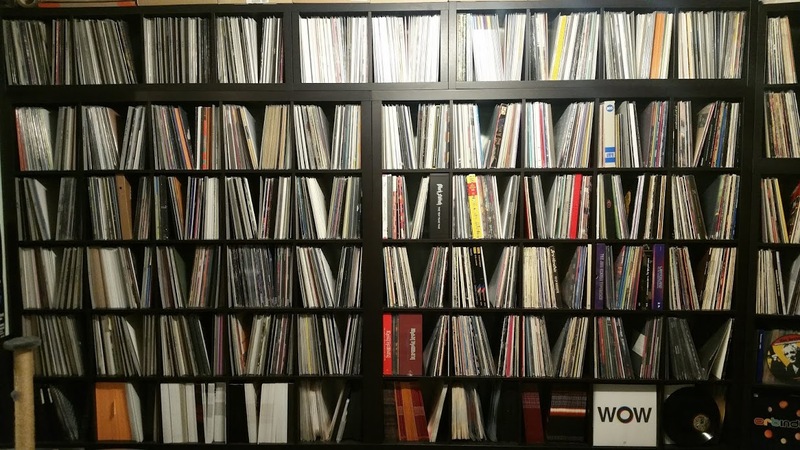 – How many records would you say are in your collection? never enough. and way too many. plus some 3k dvd/hddvd/bluray videos. a reasonable sized collection, nothing outrageous. moved all of it to my place in 2006.
that was *quite* a lot as well, if not more. two more 4×4’s and some backstock inventory shelves outside. so far total numbers have only ever increased. this might change, hopefully sooner than later. letting go is hard. 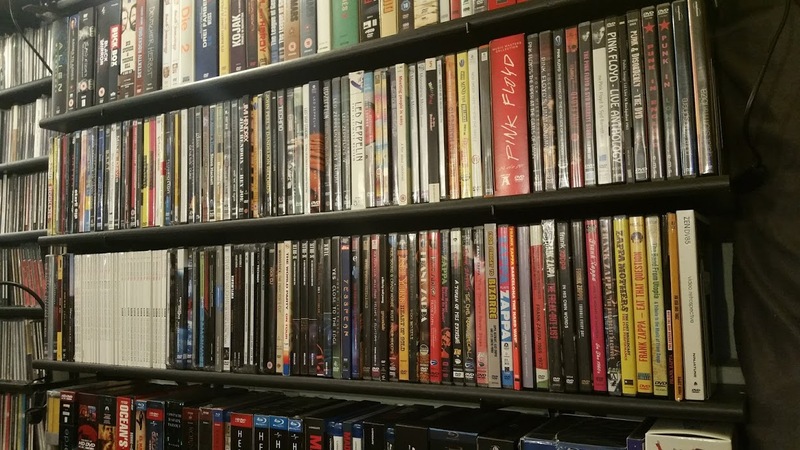 – Do you consider yourself a ‘collector’? ‘record collector’? most definitely yes. the definition of me. without recording products or outside of the home environment of course. let alone to create music whichever way or experiencing it done. don’t play any instruments or machines myself, so i’ll stick to records. no music, no life (tower records tagline), true. due to everything attached individually. i basically live inside my humble collection. 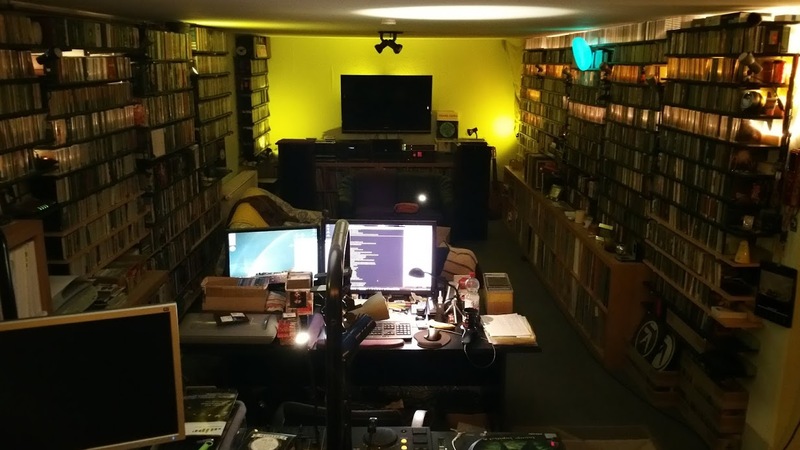 all walls plastered, immersed in sound *and* records. just as my personal preferences come & go in long phases over time. – What is your playback setup like? maybe might become one later once i made the lottery. and i like bass, at home. deep bass. like, really deep. sub bass. or some echospace, or any basic channel, while we’re at it. rumblings a standard setup does not even touch. 11 meters of straight room length allows for some deepness. bought in march 1987, best music decision ever. 20hz at -2db? easy. a JBL center channel plus 4 JBL Control One’s with low freqs cut off. power amp: Yamaha MX-70 (ca. 1989) bought in ~2001. always wanted an MX-1000 but hey. even more expensive these days. Behringer equalizer to play with. one cone of my ~1986 Beyerdynamic DT-770 headphones. sources: two Technics SL-1210MK2 with cheap ortofon concorde. 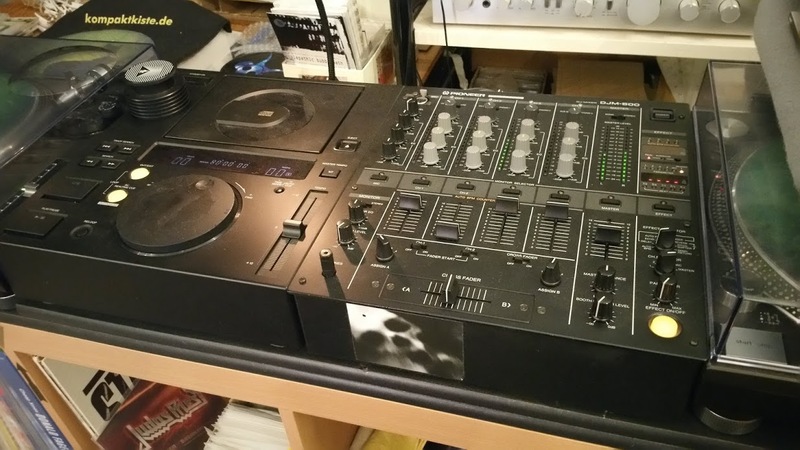 Pioneer CDJ500-II and computer, mostly through the old Pioneer DJM-500. and my other special (to me) hifi item, the 1992 Sony DTC-670 dat player. – What was the very first record you purchased? abba’s greatest hits and the beatles red album. those don’t count. and jean-michel jarre – oxygene. some led zeppelin, deep purple and genesis soon after. those days were dominated by cassettes recorded from radio. if a friend had an lp already it was deemed unnecessary to have it as well. buying an lp was something special. for a long time. 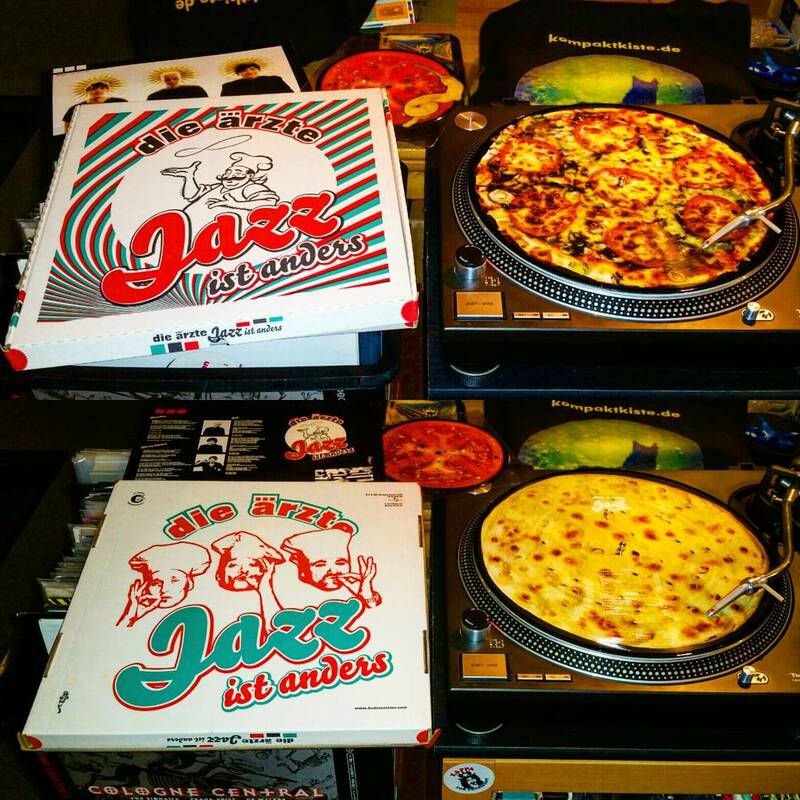 – Tell us about the most prized record in your collection. hmm, no idea which one that might be. plenty of items i’d never let go, for various petty reasons. but i’m getting softer with age. with the confusion mix on the flip. not worth a lot. bought it in august 1996 when i ended my ~8 year vinyl hiatus. maybe my favourite record of all. changed a lot. no wait. khan & walkers super8 001 was in the same batch! usually i simply ignore high-priced stuff, including rare originals. even worse, half the price a month later on amazon? oh well, ok. happens. definition of a bargain as well. but again, very happy to have them all, in daily sight. after i sold almost all vinyl during the late eighties. simple minds – i travel 12″ proto-techno to me. a favourite. new orders blue monday, bought in march 1983. not that special now! and i was there at the time. placed my one high bid on the first, and won. then said wtf and placed another bid on the second one as well. and won. yes – i was drunk that night. usually a huge no-go for impulse buying! no regrets at all though, again, very happy i have them. 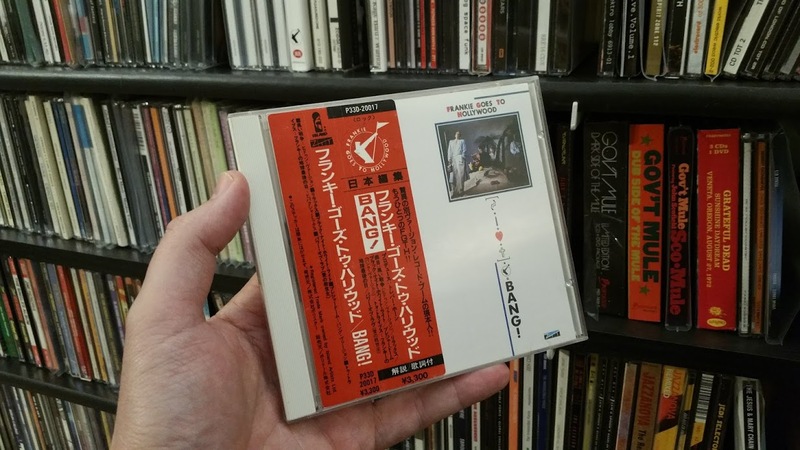 pink floyd dark side of the moon very early japanese gold cd. all those zappa cd bootlegs sold ~fifteen years ago. and i’ll likely never get any of these back. (blue010, blue012 #001, djunglefever015, stroboplastics #001). 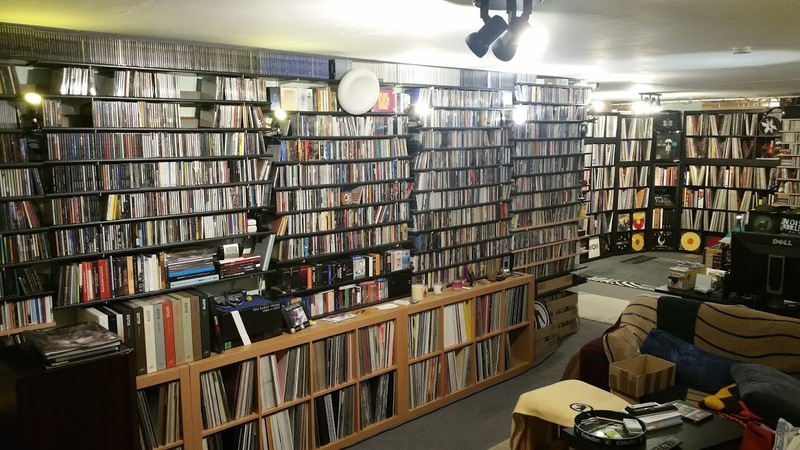 – CDs vs vinyl vs digital? Collectability vs usability? i’m old enough to consider vinyl the standard physical medium. however when cds came up i was the biggest fan, instantly. my first player early 1986, a Yamaha CD-2 (rip), cost me more than a months pay. when they were almost double the lp price. these days i’m pretty much indifferent. 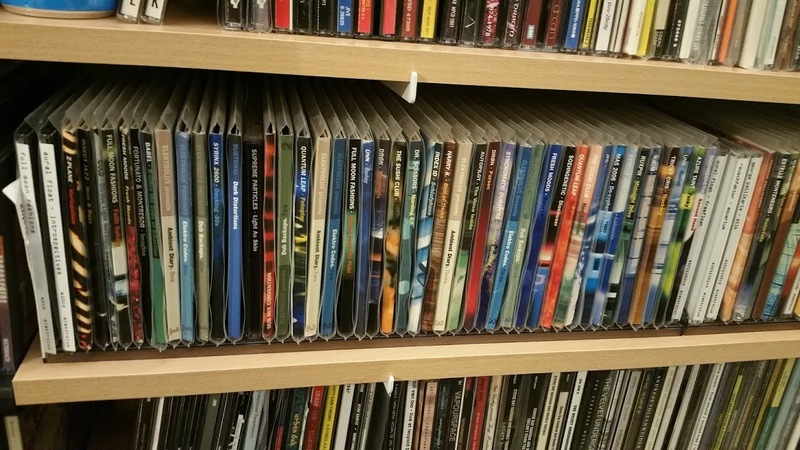 the rare occurrence of various cd rot phenomenon had me disillusioned a bit. my trust in the propagated lifespan takes a hard hit. maybe it is time to acknowledge the longterm durability of vinyl records. files for preview & research & archive. 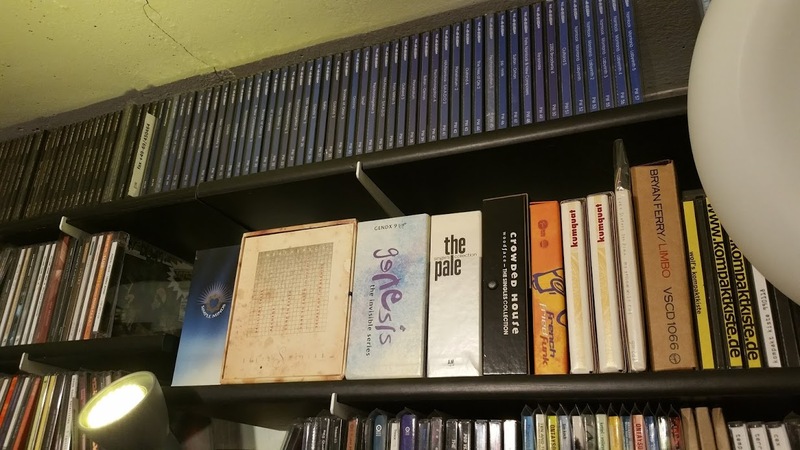 cds when cheap (i.e. blue note jazz for €5 a piece? ok). vinyl when i can afford it. wouldn’t want to miss the advantages of any format. being a vinyl fanatic is just as silly as being a cd fanatic. would i be able to enjoy records as such if i was deaf from now on? yup. 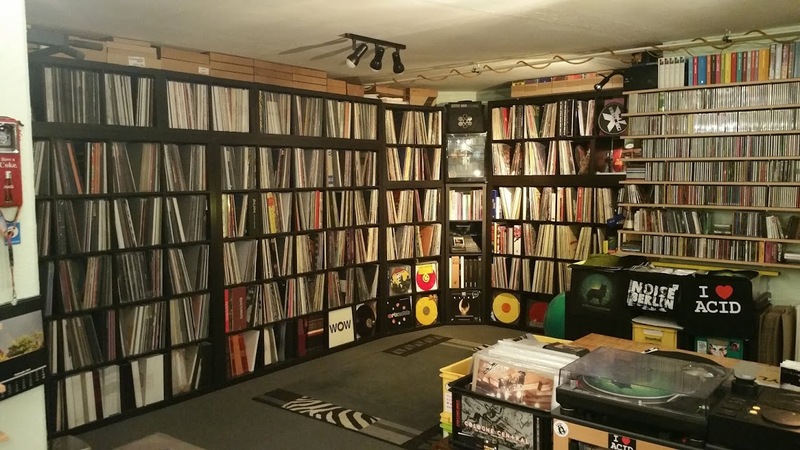 – What are your thoughts on the “inconvenience” of vinyl? an ongoing argument that makes me cringe a little. putting on a record is part of the experience, and the dedication. “inconvenience” only comes up when you’re trying to move a sizeable collection. i have no plans to move out of my basement, ever. and i’m not a dj. and get more into that collection that i already have? – Ever consider digitizing the collection and selling it off? digitizing vinyl is something i never really bothered with. way too tedious & time-consuming. 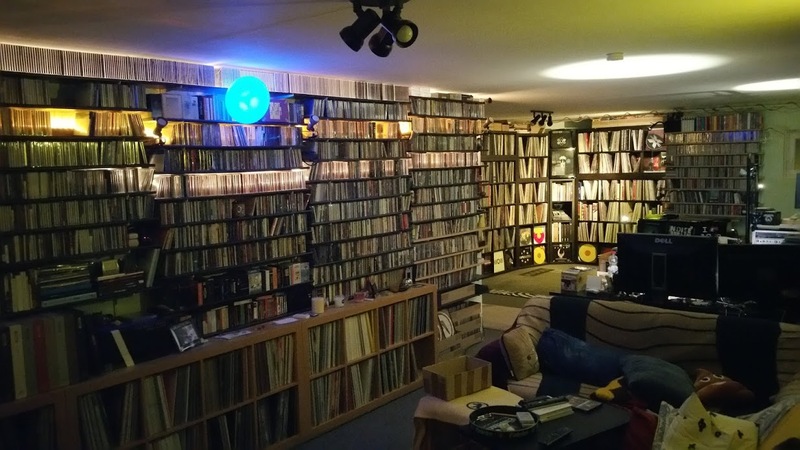 digitizing cds? have done my whole collection in 2006.
lost a (then) big hard disk soon later before i mirrored it. shock at first, only for a moment though. didn’t care much later. than i could listen to for the rest of my days. it’s a library. a reference tool. doesn’t feel like a collection though imho. – What album has your favorite artwork and why? look it up & you’ll see. the pizza box. the picture discs. & the download code is on a pepperoni. as placeholder for any ecm cover ever. poodles. and heino staring through his famous sunglasses. additional pink version on the back cover. i’ve got two copies. black cat on red. just cool. still don’t have a vinyl version! 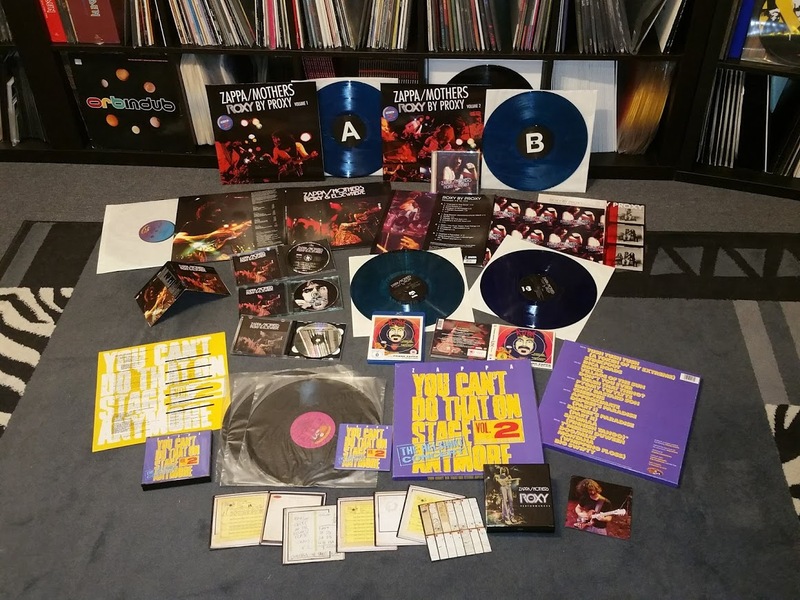 * the mothers of invention – freak out! the colours. wild. iconic. much to read on the inside. how bold to release a debut double album like this in the mid-sixties. dancing cover model is oozing groovy sexiness galore. fits the music. is there a sixties Reid Miles blue note cover which is not perfect? plus all those i can’t think of right now or forgot about. 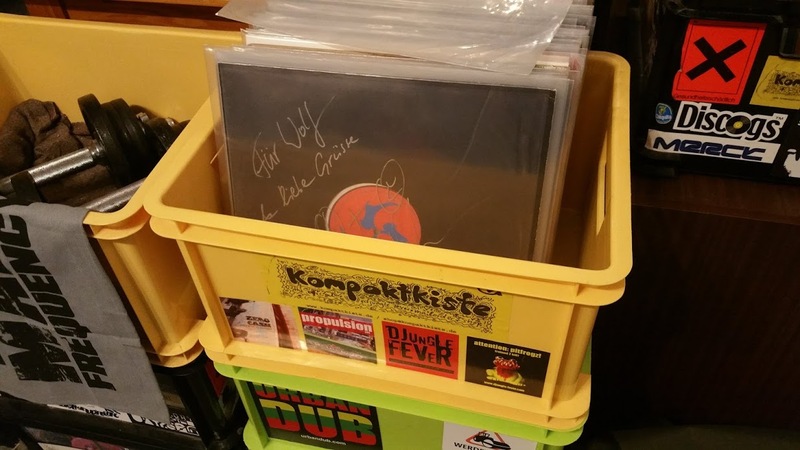 – What do you look for when you go record digging? my collectors’ buying habit? little but often and then a lot. try everything, find out what i love next, then dig in there for more. record digging rarely happens anymore. i miss that. and somehow the only source to find out what is out there & available. and especially the bargain bins. to spend all funds i can afford to. fun releases, non-music, more jazz i might find interesting. and zappa. – Where do you purchase your albums these days? or how the offline/online ratio evolved exactly. would be interesting. and i also check my wantlist of upcoming new stuff with them. i have quit to buy records & cds for the purpose of re-selling in 2006 already. until then i got a lot from kompakt distribution for my own collection as well. ebay for specific old & used releases, often via filter alarms. and i still buy a lot from amazon, which seems kinda wrong. but boomkat and norman records are favourites for some specific new releases. more and more on bandcamp, mostly physical stuff. 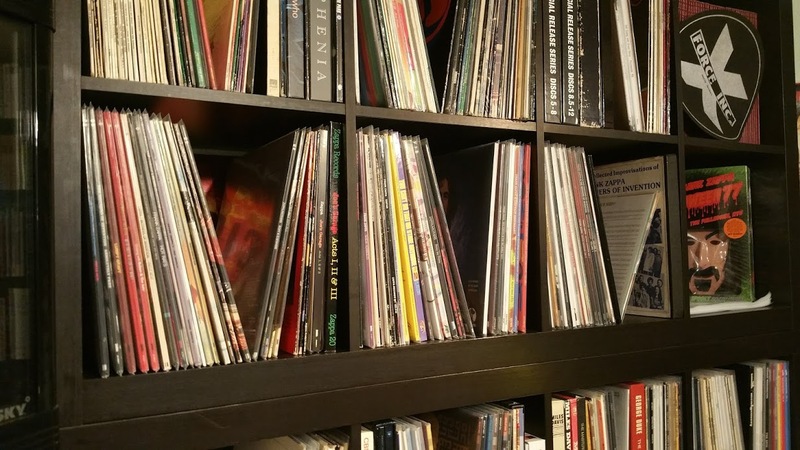 – What are your thoughts on limited editions, original releases, and reissues? a phrase so overused it has almost lost its meaning. anyway i appreciate it when the number of an edition is specified upfront. of fancy vinyl colour variations, which is nice. however i won’t be going far out of my way to obtain something specific. during a specific hour only to get a mere chance to add it to my cart, nope. unreasonably priced above a black version? nope. us release not distributed in europe, only available from scalpers? nope. do you want to buy this to impress others? don’t. in hope to find my preferred version one day. which then doesn’t happen at all. splitting hairs about first stampers & matrix numbers? 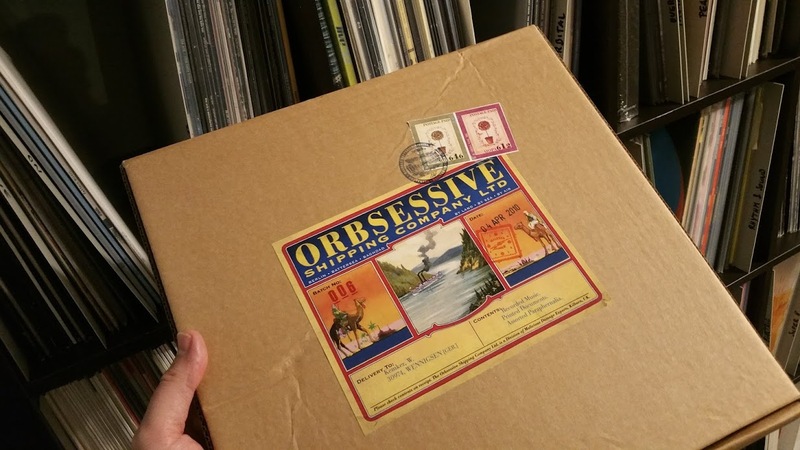 spending a months worth of active bargain bin digging on one record? if some release warrants a reissue, fine. audiobooks on vinyl in 2018? why oh why. why not “dj mixes on vinyl” then too? 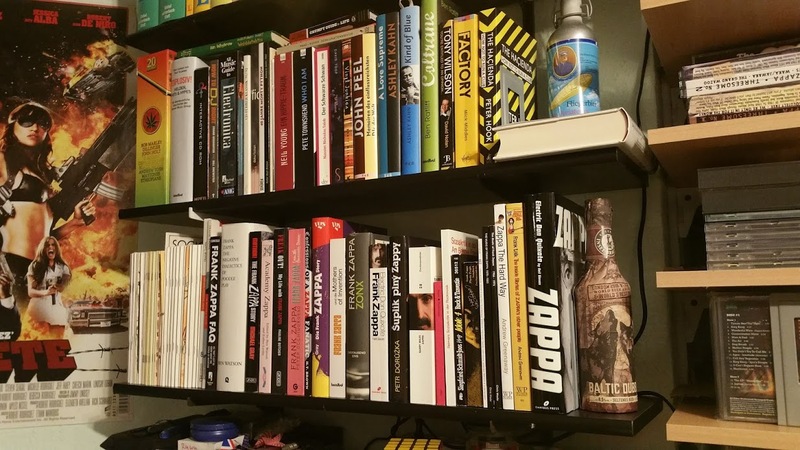 oh wait..
– What were the most memorable liner notes that you’ve ever read? the black sabbath & motörhead double cds. – What record do you think you could play all the time? will surely lead to dislike it, and madness. * zappa & the mothers 73/74 band, the roxy releases et al. 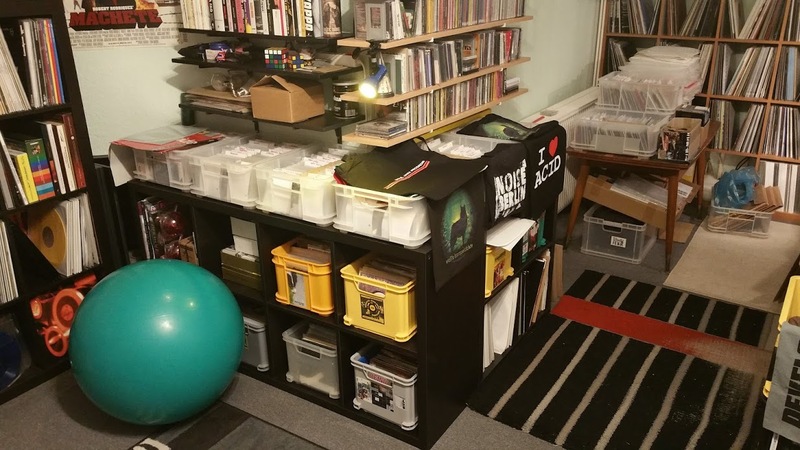 – How is your collection organized? then artists by abc, then compilations. pretty much the same for cd and vinyl. jazz cds & jazz vinyl have an extra section, abc. classical cds as well, i have only two rows left anyway. 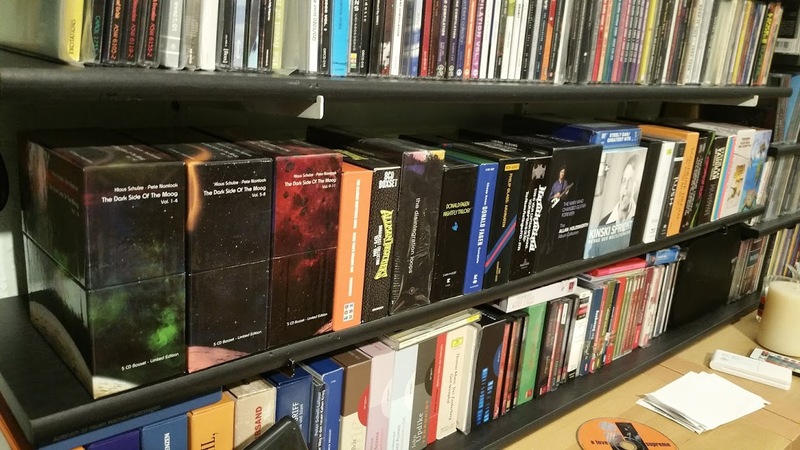 a dozen boxes with slim cd cardboard cover releases extra, by labels. seven inches extra, pretty much unsorted. plus a handful older boxes with records that never found their place. my ‘for sale’ stuff from the collection is separate. videos by format. 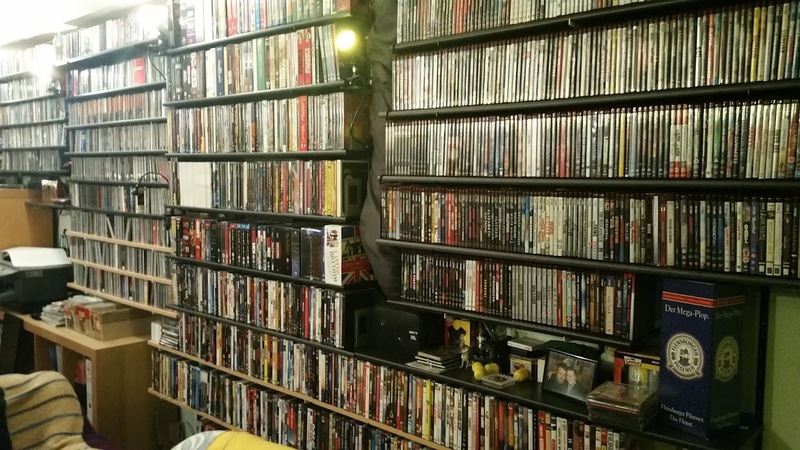 dvds by abc, bluray/hddvd unsorted. 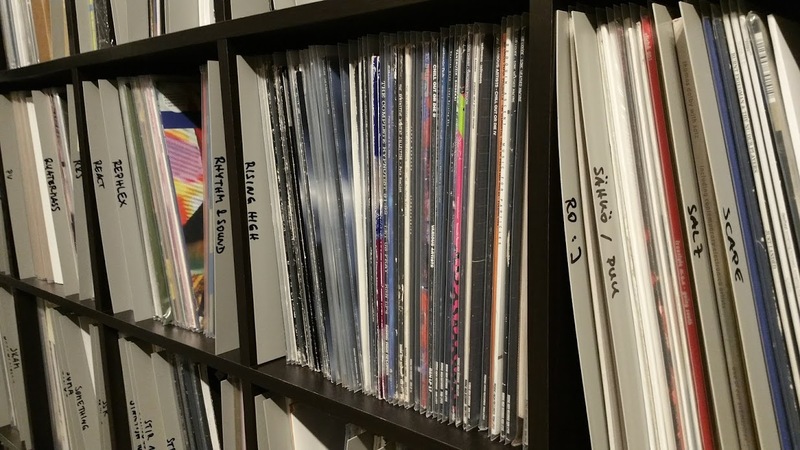 – How has vinyl impacted your life? saving up for something big is extra hard. no fancy cars or holidays for me then, fine. at least i could justify my collecting habit as an investment. but maybe more fulfilling than spending on other vain acquisitions. – What will happen with your collection when you’re gone? i’ll be able to manage to sell it off completely before i’m gone. my dear wifeys biggest fear is to be left alone with it. and i understand. i have it all documented in extensive detail, which helps.